Aldersgate Childcare Development Center in Greenville, SC promotes social, physical, intellectual and spiritual growth through play-based and hands-on learning. a life-long relationship with The Lord. This is not a mommy’s morning out program. field trips - all aimed at developing young minds. We highly recommend Aldersgate CDC for parents looking for a nurturing environment where kids are loved & respected while learning & having fun. For the last 8 years, we have watched them learning all sort of great things they would teach us at home, including prayers said before meals, songs, poems and dances. Each teacher was patient & nurturing while helping our children grow spiritually and academically. We have been an Aldersgate CDC family since 2007 and we still have 5 more years to go! We can’t imagine our children attending preschool anywhere else – the teachers love the children like they are their own, and the little ones find that learning in a loving environment is such fun. We started our preschool years when our first-born was three; he is now entering middle school! All four of our children have attended, with our fourth child starting K3 this year. We have been delighted by the creativity, organization, and friendliness of the staff. Aldersgate has been a safe, happy place to learn and grow. Our family is entering our 7th year at Aldersgate CDC. We continue to be very happy with the program. It is the perfect balance of structured learning and free play time in a Christian environment. The teachers and staff are attentive and nurturing to the children, in close communication with the parents, and very creative in their teaching styles. I fell in love with this ``little community`` 7 years ago when I felt I needed to put my son somewhere a few days a week for socialization. My second son graduated from the K-5 class this year and I was so sad at the thought of Aldersgate not being a part of our life that I jumped at the offer to join the staff working a few days a week there! Whenever I drop my daughter off at school, I never have an ounce of worry because I know the teachers are caring and loving my child just as I would. 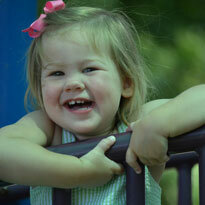 I feel my child is getting the best preschool education in Greenville! As a teacher, I had very high expectations for my son's first year at Aldersgate CDC. From the first time I entered the center, I knew that it would be a positive experience. The things my son learned in the 1's class were astounding to my husband and I. We felt confident he was in good hands when he was there. The extended stay program was wonderful. All of the teachers and the director were friendly, helpful, and accommodating. Aldersgate has provided my child a nurturing Christian environment that has challenged him socially, physically and spiritually. The staff at Aldersgate goes above and beyond, and is committed to excellence. We absolutely love Aldersgate! We have been there for 4 years and truly feel loved. The teachers are so warm and welcoming. My daughters run in to school looking forward to the fun activities planned!